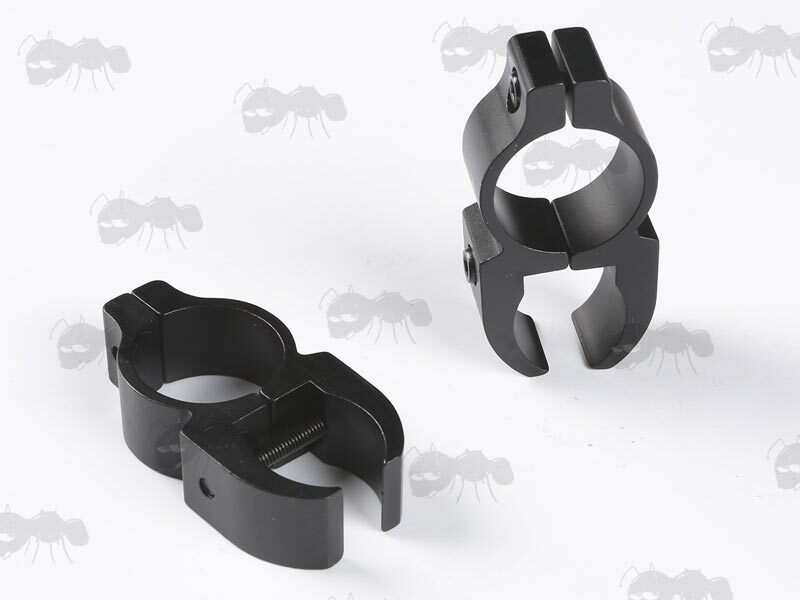 For standard UK dovetail rails on rifles, airguns and pistols. For 1 inch / 25mm scope tubes. Overall height 63mm, width 32mm, thickness 16mm, elevation of 28mm. The pairs weighs 58 grams. 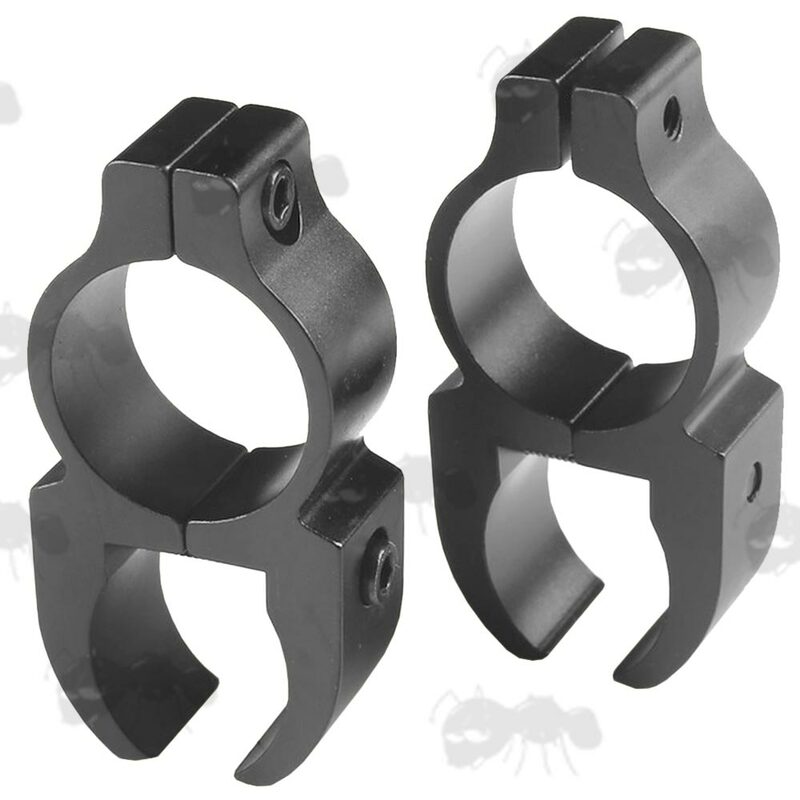 Also available in this style ~ Vertical Split Weaver / Picatinny scope rings.